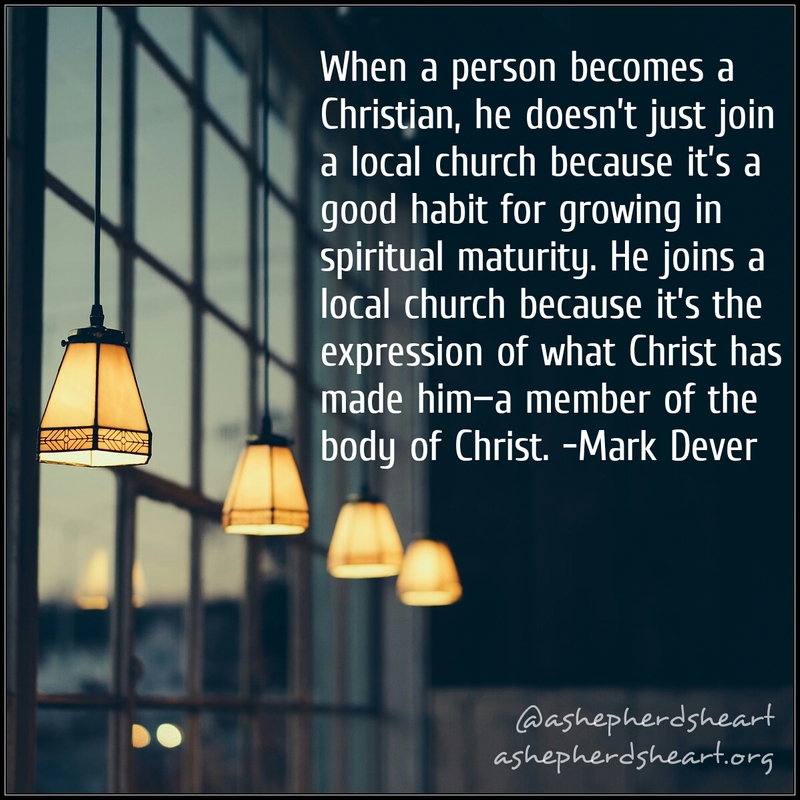 A Shepherd's Heart: He Made You a Part of The Body of Christ & It's Not Optional! He Made You a Part of The Body of Christ & It's Not Optional! To my fellow followers of Christ, I wonder sometimes why some of you make it so easy for yourself to disconnect from the church/fellowship/weekly gathering or more importantly with your relationship with God? Some of you will go weeks or months without attending any weekly services/gatherings, serving using your gifts and talents, or connecting with other believers. Furthermore, you spend hardly any time daily, (if at all) developing your relationship with God through reading and studying the Word, prayer and prayer/communicating with Him. Speaking from experience, we all can go through somewhat dry seasons in life sometimes, but, I know that the seasons are even harder on us when we withdraw from the relationships, connections, fellowship, etc that we know are good for us by putting them in the "optional" category. Now, I'm not talking about an occasional time where you need to unplug for a weekend, or are sick or on vacation. I'm talking about a habitual, purposeful decision to not engage at all on purpose. This is unhealthy and disobedient to God's will for you. You are accountable for how you choose live and with this let's remind one another that He didn't die for you and save you so you can "check-out"! He died so you might have life and part of that life includes being a part of His Body for His kingdom, glory and your growth and good! Friend, I don't share this to guilt you, rather, I share this to remind you that you're loved, valued and missed! We need each other! You need other people and it's by God's design that we enter into community with one another. Now is a great time to reconnect with the Lord and your family in Christ as God and your family in Christ who are of like mind need you to be an active part of His Body! You have a responsibility to engage as a part of the Body of Christ. It's time to take all these things out of the "optional" category, end the excuses and put them into the active category! Read: 1 Corinthians 12:12-31 to be reminded of how tremendously valuable you are to the success of all...including your own! I challenge you to read and study all the other passages that communicate to you and instructs you regarding your responsibilities to actively engage in and as be a part of the Body of Christ! Be the church which includes being an active part of the body of Christ!